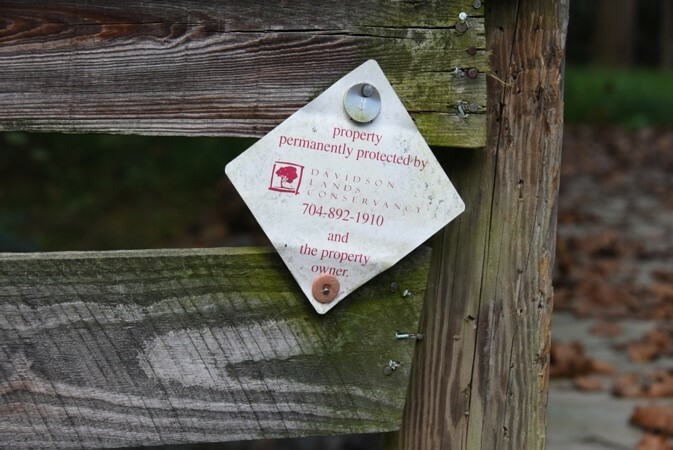 The Davidson Lands Conservancy (DLC) has embarked on a campaign to raise $250,000 to claim an anonymous matching gift of $250,000, made by a Davidson family. To claim the match, DLC must reach this goal by December 31, 2018. As of November 2, the Forever Fund campaign had raised $222,140 in gifts and five-year pledges. 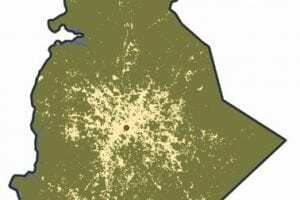 Davidson’s population has tripled since the 1970s, similar to the growth in Mecklenburg County. The Forever Fund directly supports the DLC mission to balance this growth with permanently protected natural lands, through voluntary conservation agreements with willing landowners in the Davidson area. The Forever Fund supports the legal work, appraisals, surveys, and other costs that come with the conservation process — as well as providing matching funds for available grants. Davidson native and DLC board member Cambria Nielsen serves as chair of the Forever Fund Campaign. “When matched, our campaign goal of $250,000 becomes $500,000, which will support the costs of permanently conserving literally thousands of acres, worth millions of dollars,” she says. 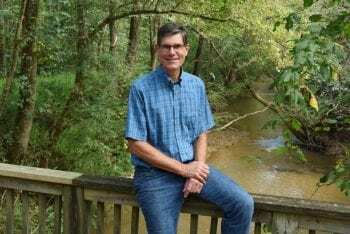 Landowners interested in creating a private conservation agreement have a knowledgeable partner in Davidson resident Dave Cable, who volunteers as DLC’s Director of Land Conservation. Cable, who previously led both the Catawba Lands Conservancy and Carolina Thread Trail, has helped landowners conserve thousands of acres in our region. Cable will walk the property with the owner and discuss the many options and benefits available, before customizing a conservation agreement. “In the end, you can continue to own, control, will, or sell your land, while protecting it for generations to come. Literally forever,” he says. Nielsen and Cable are happy to talk with interested donors. “We’ve found that people are excited to hear about the opportunity to make a permanent, tangible impact on Davidson, now and tomorrow,” Nielsen says. Cypripedium acaule, or pink lady slippers, an uncommon orchid native to NC that thrive on the Archer property. Frank Archer. 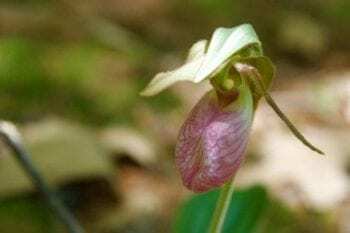 Almost entirely woodland with a stream on the eastern edge, the natural area provides a wildlife habitat and ecosystem that hosts about 100 stems of the rare pink lady slipper (Cypripedium acaule), an orchid native to this area. To support the Forever Fund and learn more about DLC programming and membership, visit the website or call the DLC office at 704-892-1910. Gifts to the Forever Fund are used exclusively for land conservation. Founded in 2000, Davidson Lands Conservancy is a nonprofit land trust that works with willing landowners to save land in the Davidson, North Carolina, area in order to preserve a healthy, natural environment for future generations.